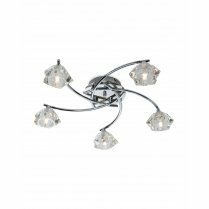 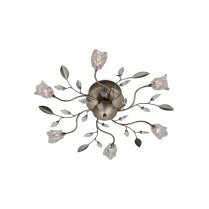 The Clara 3 Light Semi-flush Fitting features 3 curved polished chrome arms that meet in the centre to form a triangle over the circular chrome ceiling plate. 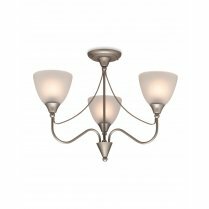 Creating a soft ambience with a hint of sparkle, the light emitted from each bulb will be warm and white, refracting beautifully through the chunky clear glass shades. 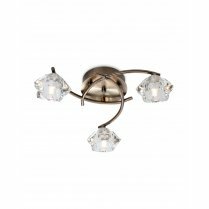 For traditional settings, the Clara can be purchased in an antique brass finish, with matching wall fittings available in both colours. 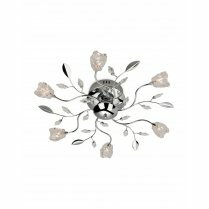 A larger 5 Light fitting is also available in polished chrome. 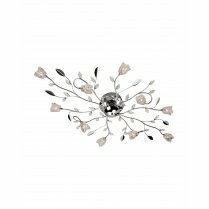 Simply type 'Clara' into the search box above to view the full range. 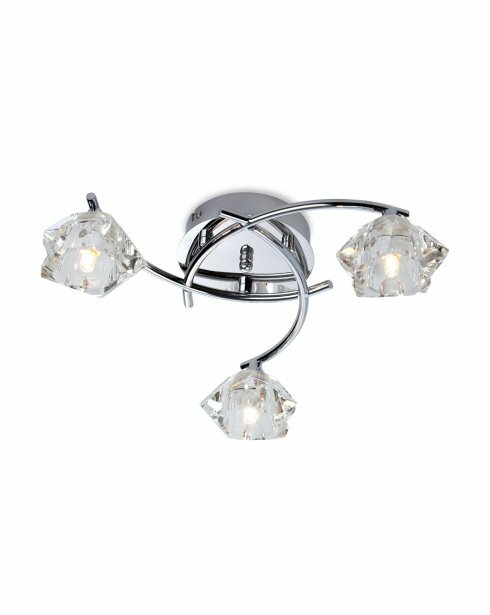 Requires 3 x 40W G9 bulbs and suitable for use with low energy G9 LED's.